The Orbel flush mount from Tech Lighting elicits a fundamental principle of Mid-Century Modern art design with the contrast of basic geometric shapes. The circular canopy supports alternating metal squares and four glowing, frosted spheres of light. 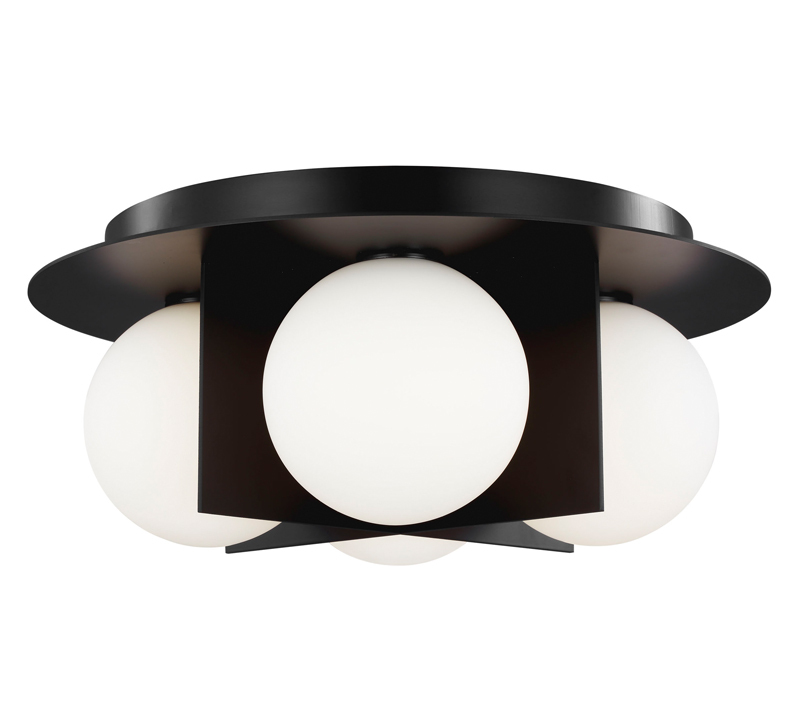 Measuring 6.3 inches high and 15 inches in diameter, the Orbel flush mount comes in either a Matte Black (shown), Brass or a Polished Nickel finish. The collection also includes wall sconces, a bath vanity and pendants.